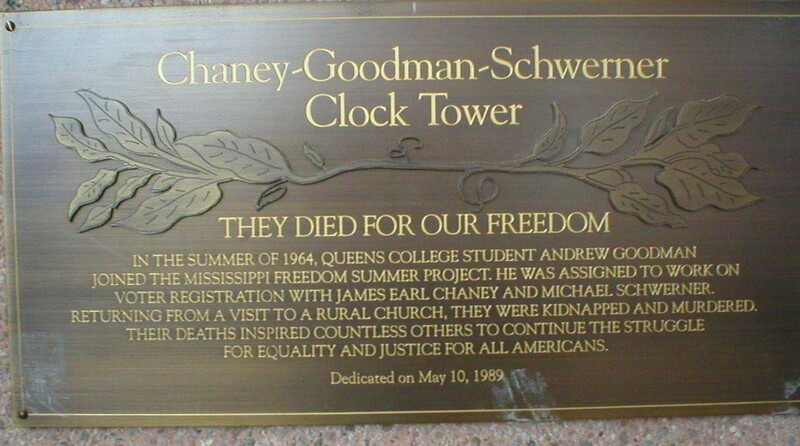 This web site was initiated in January 2005 by the Black History Month Committee of Queens College. 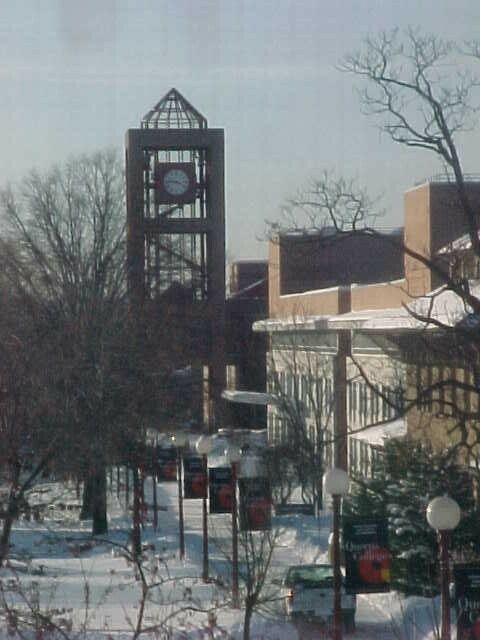 See also our archived February 2005, February 2006, and February 2007 pages which include a variety of related resources. Click on each image above and below for a larger version. Zora Neale Hurston – Her life, work, and more! A book exhibit highlighting materials from the collections of the Queens College Library focusing on Hurston’s literary works, her personal background, her anthropological and performance careers, the Harlem Renaissance and other distinctive African-American women writers. Opening reception to kick off Black History Month. The life and works of Langston Hughes. Viewing of a film in which Maya Angelou and Dave Chapelle come together to discuss their passions and creative processes to provide viewers with an inside glimpse into the inspiration and motivation that made these iconoclasts who they are today. The life and works of Amiri Baraka. Dr. Grace Davie from the Queens College History Department will compare and contrast the Black Family composite from South Africa to America. 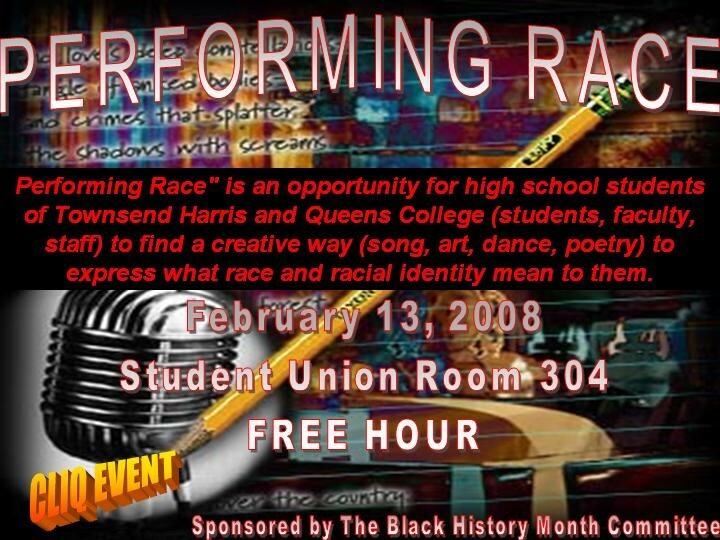 An opportunity for high school students of Townsend Harris and Queens College students, faculty, and staff to find a creative way (song, art, dance, and poetry) to express what race and racial identity mean to them. Viewing of Spike Lee’s critically acclaimed film. Viewing of Spike Lee’s Oscar-nominated film. A discussion of Zora Neale Hurston’s famous novel. Viewing of Spike Lee’s dramatic musical. Author of: "Keepin' It Real -School Success Beyond Black and White"
Town Hall Meeting on black student achievement and constructions of race. A discussion of Zora Neale Hurston’s novel with Wayne Moreland of the Queens College English Department. A discussion of Hurston’s novel with Dr. Shirley Carrie of the Queens College English Department. Viewing of Marlon Riggs’ film, Black Is, Black Aint. A celebration commemorating Black History Month 2008.